It's a New Year, it's January, it's frosty and it's ice cold. I am sure snow is very nearly here. 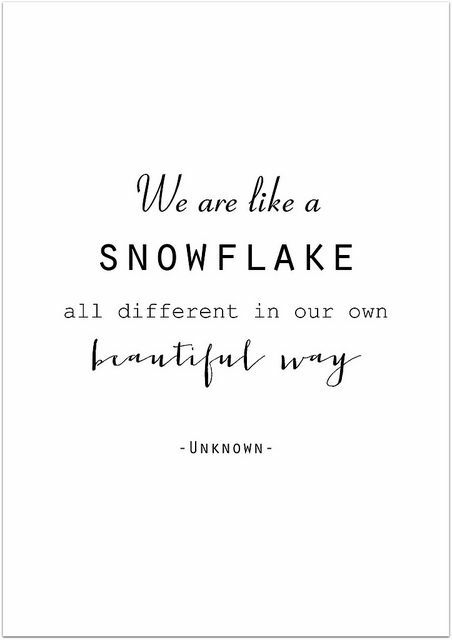 I am going to say very few words today- 'We are like a snowflake, all different in our own beautiful way'. Yes that's you, me and the person sitting next to you. Be kind to one another. Life is too short. Love yourself and the world. Aww I love this quote! So pretty! What a great quotation - one I need to remember.